285 million in 2010, according to the International Diabetes Federation. 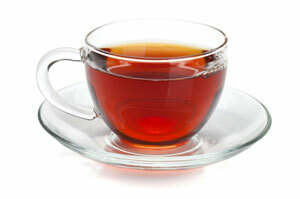 Previous studies have linked black tea consumption to several health benefits. Notably, a Scottish study published in Aging Cell in March 2008 appears to concur with the findings of this research in concluding that black tea may help combat type 2 diabetes. The researchers gathered and analyzed data provided by Data Mining International on fermented black tea consumption in 50 countries. The data, which was based on 2009 sales, included nations in every continent. Black tea accounts for over 90 percent of tea sold in the Western world. Ireland is the biggest tea drinker per head in the world, with consumption at 2kg per year per person, the United Kingdom came a close second, and then Turkey. The lowest black tea consumers were Mexico, Morocco, China, Brazil and South Korea. With the use of PCA (principal component analysis), a type of statistical approach, they managed to find out what impact black tea consumption had on the health indicators selected at the population level. They found that black tea affected diabetes rates, but not the other diseases. After further analysis, they were able to confirm their initial findings regarding high black tea consumption and lower type 2 diabetes prevalence. The authors emphasized that the quality and consistency of the information among the 50 nations probably varied, as well as the criteria internationally used for diagnosing diabetes. "And what may seem positive at the population level may not work as well as the individual level," they wrote. Even so, their findings support those from prior studies. "These original study results are consistent with previous biological, physiological, and ecological studies conducted on the potential of [black tea] on diabetes andobesity"...and they provide "valuable additional scientific information at the global level." The scientific community has become increasingly interested in the potential health benefits of green tea, which contains catechins (simple flavonoids). Catechins are believed to have anti-inflammatory properties. Green tea turns into black tea during the fermentation process. Fermentation induces a range of complex flavonoids, such as thearubigins and theaflavins, which have also been attributed with several health benefits.